Boosts skin’s radiance and smooth skin’s texture. This innovative hydrogel face mask with vitamin B3 leaves your skin looking luminous, evenly toned, and radiant. NEUTROGENA® Radiance Boost Brightening 100% Hydrogel Face Mask brightens skin, boosts skin’s radiance, and smooths skin’s texture. Made from a unique 100 percent gel material, the skin brightening face mask sheet holds up to 50 percent more essence than a paper mask. The single-use face mask sheet works in 15 to 30 minutes to leave your skin looking luminous, evenly toned, and radiant. Enriched with vitamin B3, this hydrating face mask contours to your face for optimal absorption to deliver clinically-proven results. For best results, use this face smoothing mask after cleansing and before moisturizing. NEUTROGENA® Radiance Boost Brightening 100% Hydrogel Face Mask is gentle on skin and non-comedogenic so it won’t clog pores and is suitable for all skin types. 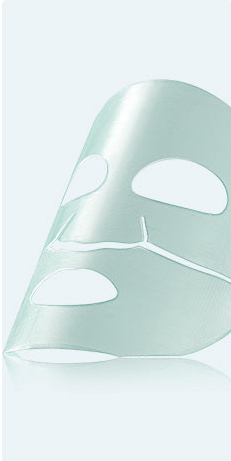 Innovative Hydrogel technology contains 50% more skin-perfecting ingredients than ordinary sheet or paper masks. Innovative design conforms to the contours of your face like a second skin for ultimate absorption. Refresh skin anytime you’ve had a long day, need an extra boost of hydration or feel the effects of your environment—even multiple times a week! Each of our single-use sheet masks and pods contains one powerful active ingredient to deliver clinically proven results. A powerful hydrator, naturally found in skin but lost over time, that acts as a sponge for dry skin, helps leave skin feeling supple and hydrated. This mask helps brighten and boost skin radiance. It helps strengthens the skin’s outer layer and smoothes skin texture. Mask helps instantly refresh and soothe skin, revealing a soft, purified and glowing complexion. Cleansing Kaolin Clay and detoxifying Bentonite Clay absorb oil and remove impurities down to pores to be washed away. Shop the right masks based on your skin's needs. 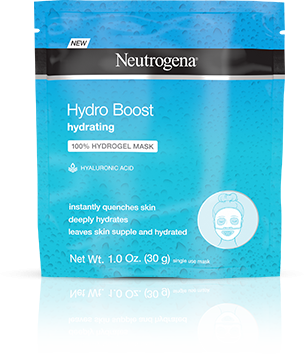 Neutrogena® Hydro Boost Hydrating 100% Hydrogel Mask instantly quenches dry skin. 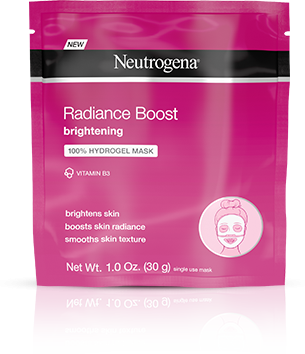 Neutrogena® Radiance Boost Brightening 100% Hydrogel Mask is infused with vitamin B3 gives smooth and radiant skin. 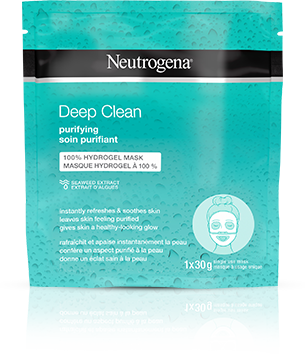 Neutrogena® Deep Clean® Purifying 100% Hydrogel Mask contains seaweed extract which help soothe and refresh. 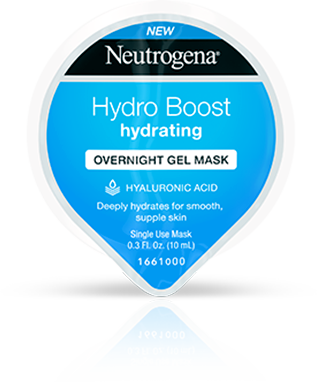 Neutrogena® Hydro Boost Hydrating Overnight Gel Mask deeply hydrates for skin that feels supple and smooth. 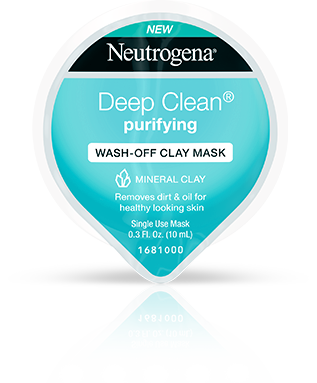 Neutrogena® Deep Clean® Purifying Wash-Off Clay Mask helps remove dirt and oil for a healthy-looking complexion.